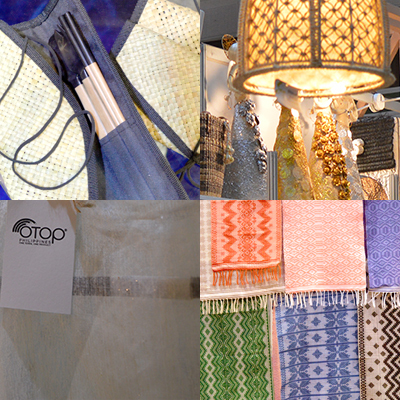 Trade buyers and visitors get to experience the Philippines’ distinct character and rich inventory of traditions and talents through the Artisans Village, which plays a significant role in protecting, preserving and promoting the arts and crafts of the islands. It celebrates the work of local artisans and master craftxsen who are highly skilled in weaving, wood carving, metal forging, marquetry, and other various forms of traditional crafts. On its 10th edition this October, Manila Wear presents the best of Fashion Philippines with a unique selection of the latest fashion lines from some of the country’s established and top emerging designers The Concept Store, a modern alternative to the traditional retail store. The Concept Store that provides guests with a luxe buying experience through its artfully handpicked products and curated display. 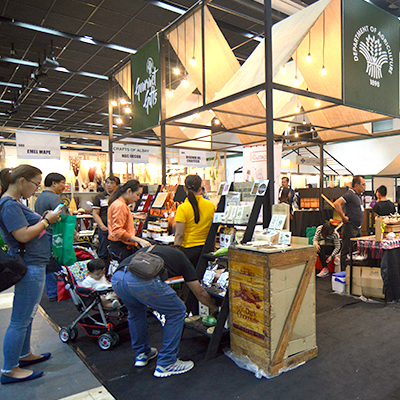 The Philippine Department of Agriculture (DA) presents The Gifts Pavilion featuring premium food gift items, handcrafted soap products, personal care products including health and wellness choice items by local companies. Through the Schools of Living Traditions (SLT), the National Commission for Culture and the Arts (NCCA) safeguards the Philippines’ traditional culture and practices by enabling the transfer of indigenous knowledge and skills of cultural masters and specialists to the younger members of its local communities. 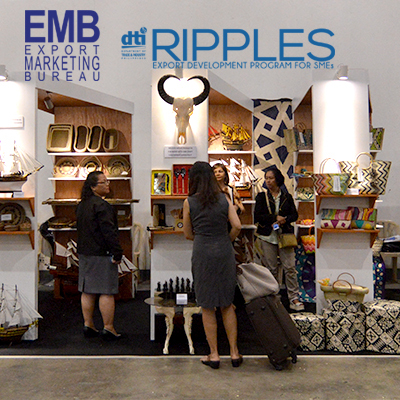 RIPPLES Plus or the Regional Interactive Platform for Philippine Exporters (RIPPLES) Plus is a program jointly implemented by the Export Marketing Bureau (EMB), DTI - Regional Operations Group, Philippine Trade Training Center (PTTC), and the Center for International Trade Expositions and Missions (CITEM). It aims to expand the supply base of internationally competitive Philippine export companies by extending strategic company-level interventions such as capacity-building training programs and business matching. 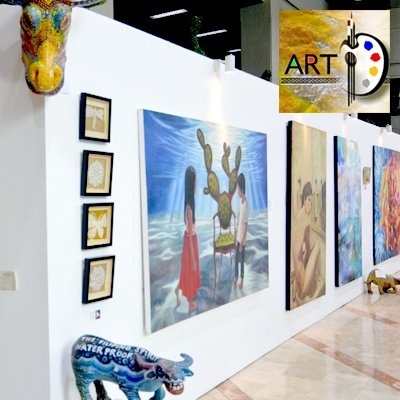 ArtDialogo is a cultural and artistic platform curated by acclaimed Angono artist Nemi Miranda. It is anchored on cross-cultural reciprocity through the arts. After a well-received stint in Kuala Lumpur, the Angono art community led by Miranda presents this homecoming showcase of artworks advocating community development, dialogue, and solidarity. Red Box continues to incubate and develop young designers through an ongoing talent development and mentorship program, with Manila FAME as the primary marketing platform. 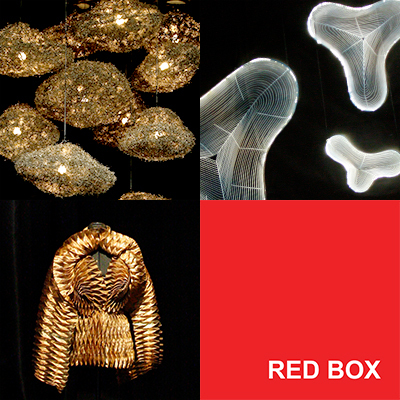 Red Box designers are given the challenge to create and curate spaces reflective of their own design aesthetic. The showcase, which highlights fresh and inspiring product design ideas, provides a glimpse into their growth as designers. 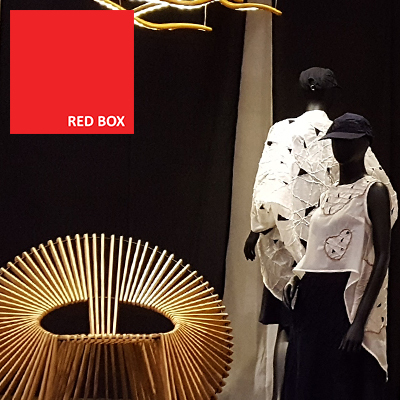 For the April 2016 edition, Red Box features the iconic designs of Joseph Rastrullo and Rachelle Dagñalan who developed a conceptual display based on Manila FAME’s theme Iridescence. Both designers are joined by Jim Torres and Kit Blancas, the winners of the Red Box Design Talents 2015 in the home category. The Artisans Village plays a significant role in protecting, preserving and promoting the arts and crafts of the islands. It aims to celebrate the work of local artisans and master craftxsen highly skilled in weaving, wood carving, metal forging, and other various forms of traditional crafts. Lifestyle designer PJ Arañador teams up with product specialists Imelda Datul and Rachel Dagñalan in a creative collaboration with the local governments, DTI regional offices, and 44 xsEs from Albay, Cagayan, Davao, and Laguna. 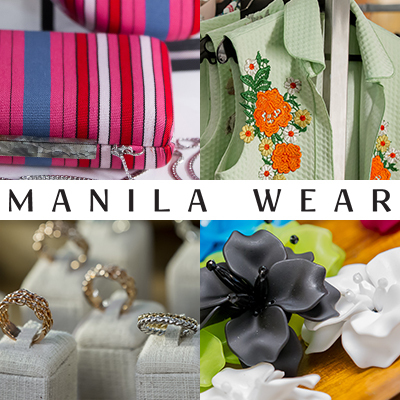 Manila Wear is a branding initiative under Fashion Philippines that aims to develop the Philippine fashion industry into a globally competitive industry. With international fashion icon Josie Natori as curator, Manila Wear continues to position the Philippines as an advocate of unique fashion pieces that combine artisanal crafts with contemporary sensibilities – a fresh take on a more individualized and personal style of fashion. 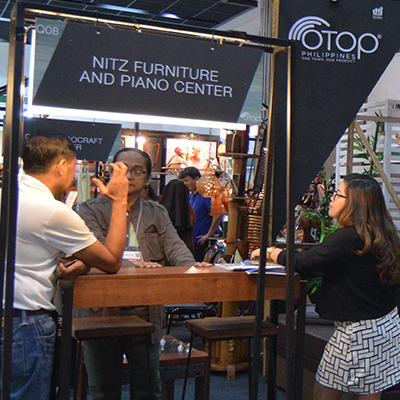 The One Town, One Product (OTOP) program of the Bureau of Domestic Trade Promotion (BDTP) of the Department of Trade and Industry (DTI) is a priority program of the government to promote entrepreneurship and job creation in the country’s various regions. 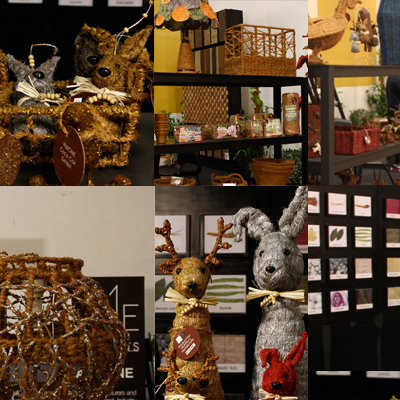 HallONE presents a special exhibit on new applications of coco coir as a raw material for home, lifestyle, and fashion products, on top of its existing horticultural uses in the country. A complementary material showcase, featuring other Philippine indigenous materials that are just as versatile and available for sourcing, provides the backdrop for this exhibit. 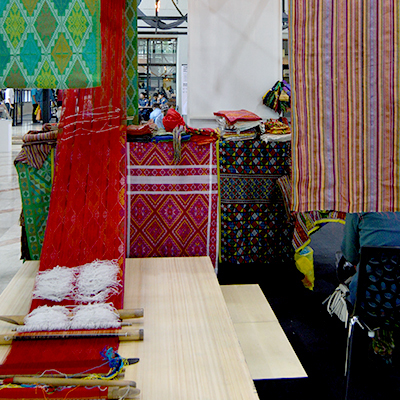 HallONE partners with Philippine manufacturers and designers, the Department of Trade and Industry regional offices of CALABARZON, Philippine Textile Research Institute, Philippine Fiber Industry Authority, Philippine Coconut Authority, and the Design Center of the Philippines in this endeavor. Y’ARI highlights the intersection of artisanal creation in select Philippine villages and the careful crafting of interventions to support the respectful transformation into the contemporary design market. Marian Roces is lead curator, whose main task is the design of the interfaces between and among different worlds and ways of thinking. The exhibition presents clothing and accessories fashioned from the Philippines' noble materials such as piña silk, glass beads, pearls, and precious metals to evoke the level of quality that is being matched by modern transformations. 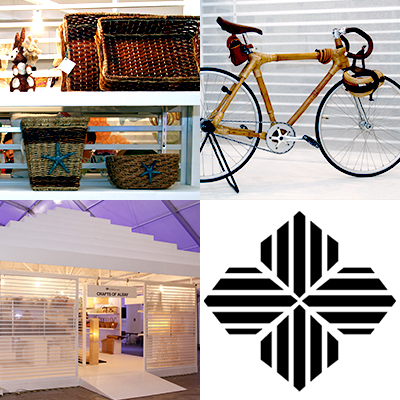 With a haute design concept on hand, the exhibit departs from typical trade show approaches. Spring Forward stages a special setting that showcases handpicked local creations from the country’s craftxsen, artisans, and young designers. 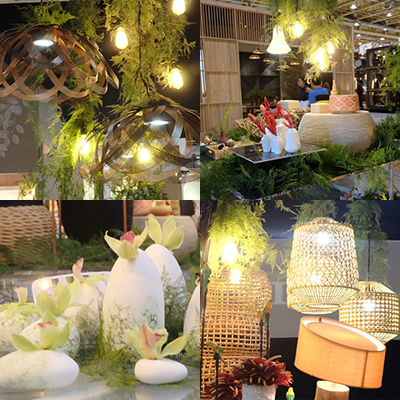 Furniture designer and interior design consultant Ito Kish ‘reimagines’ the season of renewal through a symphony of greens and hanging light bulbs, brought together by solid black marble table tops that puts focus on the versatility and the potential of Philippine products.